New Christ-Centered Songs : Reform worship. That was a shameless plug...anyway, this is really good. I'm excited to see where these conversations take us. Why can't I find this album anywhere? LOL shameless plug comment made me giggle. There's nothing wrong with giving credit where credit is due. It's like sharing with the world that you helped make the costumes for a broadway hit. That person was a part of something bigger than themselves and it is exciting to share. Ryan was used by God for His glory. 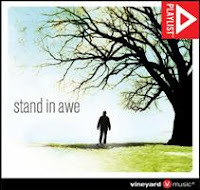 Thanks for your effort and input into this wonderful Vineyard CD. Keep on Keeping on, bro.